Grace made a movie for the first time and felt strange and nervous. She was also afraid that her performance would not be good enough. Stephy had over ten years of film experience but she did not detect any nervousness from Grace. Her performance did not resemble that of a new comer's either, thus they had a very pleasant experience from working together. In the film they had many passionate argument scenes. Grace even had to use foul language to yell at her older sister. Because the director added it without warning Stephy, during the performance the normally polite Grace surprised her. She was able to express it, which was the response that the director wanted. In addition, during the argument they would have physical confrontations. Stephy said that once she pushed the frail Grace and she fell two feet back. She really was afraid that Grace would have broken bones. Yet because Grace was slim, Stephy often did not dare to stand too forward to avoid looking too fat. Grace said that with all the pushing in the argument scenes, she really thought of asking for protective padding in the front. Aside from sisterhood, the film would also be about an armor car's theft several years ago. In the film Lam Yiu Sing and others played "Golden Boys" to help solve the case. Stephy said that she used to be rather afraid of people online, as she was afraid of seeing brutal criticism. Thus she never dared to look, but now she realized that actually they were very on top of the news and had quite a spirit of unity. One of them definitely was not a nerd. [2018.11.01] ISABELLA LEONG GUEST STARS AS A "SASSY LADY"
Isabella Leong Lok Sze, DaDa Chan Jing, Hanjin Tan (Chan Woon Yan), Tsui Tin Yau and others yesterday attended the production start ceremony for the Lunar New Year film GUNG HEI BAK POR. Looking much slimming, Isabella said that she might have lost the baby fat. She absolutely did not have anorexia as rumored. Currently she weighed 118 pounds and was not considered too thin. She said that in the film she would play a "sassy lady", but she was not at liberty to reveal the details because she would only guest star for two days. Actually this collaboration happened by chance. Isabella said, "A week ago I ran into the director at a shopping center. He said that he happened to want to ask me to make a movie and the production would start next week. I asked could it be such a coincidence? At the time he said that he did not have a script yet. I just got the script yesterday. I was very afraid of working without preparation. The director truly overestimated me. If I didn't run into him, I wouldn't have the chance to make this movie. Yet he revealed that he would work with an actor of a certain caliber, Prince Charming who everyone dreamed of working with. For now I can't say." Isabella said that she would return to film. Next year she would officially make another new film. With good scripts she would keep making movies. Now her three sons are living in Hong Kong and her mother is taking care of them. She would find a balance between work and family. Ms Tsui is a music teacher in a special education needs (SEN) school, who is not able to switch to a mainstream school due to stereotyping and labelling; Zoey is an underachiever from a Band 1 school, who is struggling for the coming public examination; Ka Ho is a rebellious teenager from a Band 3 school, who idles away his time and doesn’t care about his handicapped little brother......When being assigned to helm a musical performance, Ms Tsui has to bite the bullet while juggling between work and personal issues; for the sake of earning higher school credit, Zoey volunteers in an extracurricular musical; to avoid being expelled, Ka Ho has no choice but to attend a musical in a SEN school. Three individuals take part in a musical they deem worthless for their own purposes, which turns out to be a journey of self-discovery towards their dreams and goals. Katie, who grew up at the children’s home, since childhood she determined to be a great figure. At the age of 30, she’s already a golden girl works as a top executive in a 5-star hotel, mean and uncompromised. One day, she was betrayed...her job and her boyfriend all taken away by her best friend Michelle, everything is back to square one! At the lowest of her life, Katie was struck by meteor shower debris and was seriously injured in a coma. Her heart paused for seven minutes. After she woke up, she could see bizarre and strange images, especially an old man, a middle-aged Ah Fai and an auntie Ah Yan all dressed in their 80’s, and ended up stayed at Katie’s house. Katie even recruited a spirit media John who actually was a con with no ability to drive away ghosts or spirits, but instead, the poor guy has become the inhabitant! Lee Man, a member of a notorious money counterfeiting ring, is arrested in Thailand and extradited back to Hong Kong. Thanks to renowned painter Yuen Man, Lee is offered a deal by the police: Reveal the identity of Painter, the charismatic leader of the counterfeiting ring, and Yuen can bail him out. Lee has no choice but to comply and recount his story: In the 1990s, Lee and Yuen were lovers living together in Vancouver, seeking to be seen in the art world. However, success eludes them, and Lee is forced to go make counterfeit paintings to make a living. Lee's counterfeit paintings catch the eyes of Painter, and he decides to recruits Lee to join his team. Together with Painter's elite team, Lee travels the world in search of technologies to create the "Super Dollar," a counterfeit bill that circumvents the anti-counterfeiting measures of the 1996 American dollar. But when Lee witnesses Painter's violent methods in action, he becomes desperate to escape his employer's grip. Zhang Jizhong adapted many Louis Cha novels and said that Louis Cha's wuxia would always remain in the world. 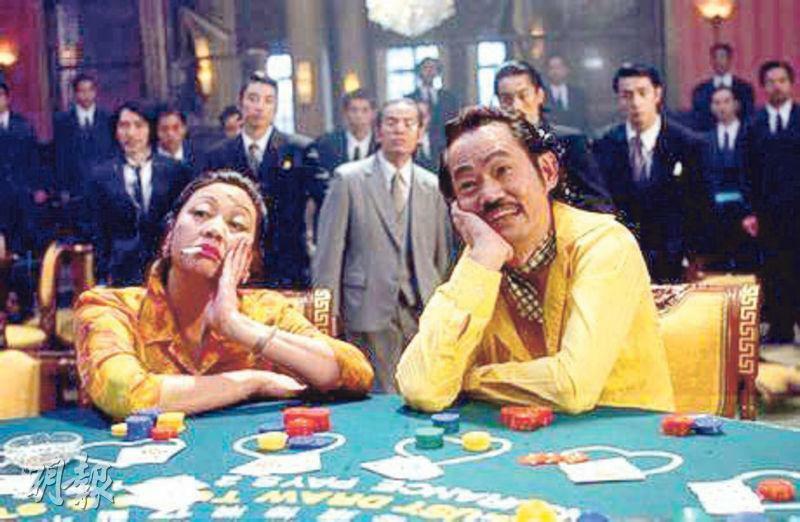 Stephen Chow used Louis Cha character names in KUNG FU HUSTLE, for which he insisted on paying royalties for. 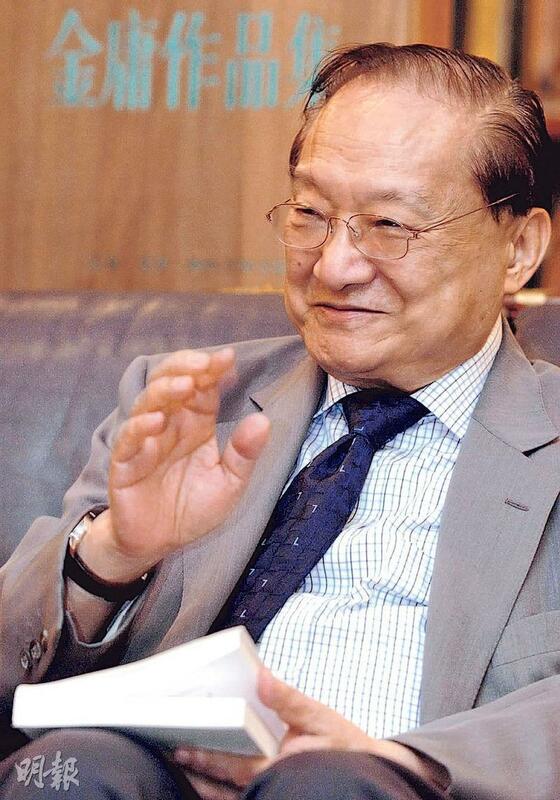 The great literary hero of a generation, Ming Pao founder Louis Cha (Jin Yong) yesterday passed away at the Hong Kong Sanatorium and Hospital at age 94. "Anywhere with Chinese people would certainly have Jin Yong's wuxia novels" often described Louis Cha and his wuxia novel's widespread influence. Louis Cha's wuxia novel mixed history, people and romance, in Hong Kong, the Mainland and around the world they were widely popular and never faded with age. Through the magic of his pen, wuxia novels went from being looked down upon as "low class" and "vulgar" to become the study subject of numerous scholars. Later it even developed into "Jinology" that was mentioned in the same breath as "Redology" (the study of DREAM OF THE RED CHAMBER). Deep sorrow and regret spread across the community over Louis Cha's passing, but his wuxia spirit of "Shooting a white deer, snow flutters around the skies; Smiling, [one] writes about the divine chivalrous one, leaning against bluish lovebirds (or lover)" would forever endure. Louis Cha wrote under pen names "Yao Fulan", "Lin Huan" and "Jin Yong". Under the pen name "Jin Yong" he wrote many classic wuxia novels. He was also a famous Hong Kong newspaper founder, novelist and critic. Since the 1955 THE BOOK AND THE SWORD to the 1972 THE DEER AND THE CAULDRON when he officially ended his writing career, Louis Cha created wuxia novels were well known. His work like THE LEGEND OF THE CONDOR HEROES, THE RETURN OF THE CONDOR HEROES, THE HEAVENLY SWORD AND THE DRAGON SABER and DEMI-GODS AND SEMI-DEVILS had far reaching influence on the entire Chinese literary world. Over the years they made into television series and films time and again and even led to many comic book and animation products. Louis Cha was born in Haining, Zhejiang on March 10th, 1924, a descendant of Cha Sheng's grandson Cha Kui. At age 8 he by chance discovered THE HEROINE and fell in love with reading wuxia novel. He read dozens of novels like WATER MARGIN and THE SEVEN HEROS AND FIVE GALLANTS all at once. At age 15 he and his classmate co-wrote FOR JUNIOR HIGH SCHOOL APPLICANTS, his first book publication that was a top seller in southern Zhejiang, even reached as far as places like Jiangxi and Fujian. 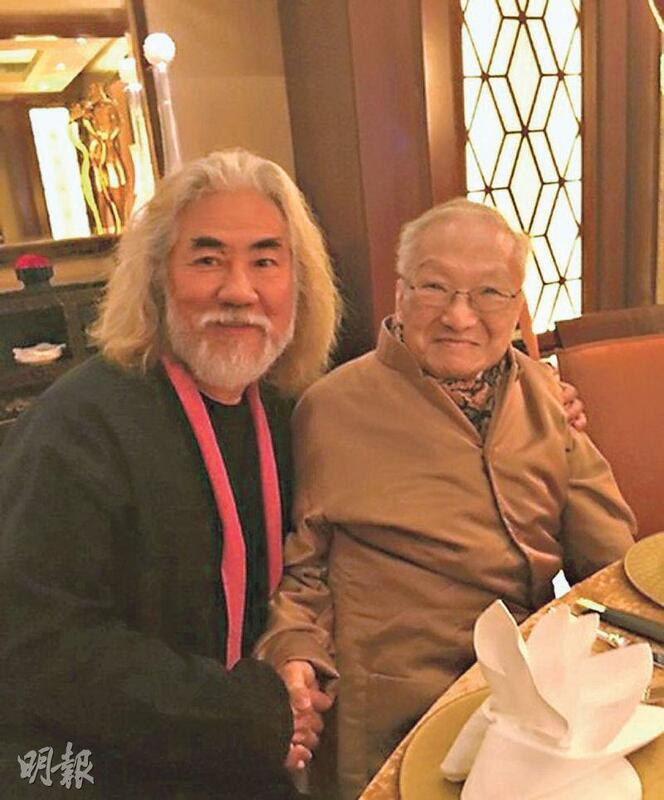 During the War Against Japanese Aggression, he relied on the government issued payments for a living. After coming to Hong Kong, he worked as a supplement editor on the Ta Kung Pao affiliate New Evening POST and in the 50s began his journey of wuxia novels. In 1959 he founded Ming Pao. Aside from wuxia novel serial, his Ming Pao published social commentary was also deeply influential. In the 60s and the 70s it even became the authority in reporting news about China and also satisfied Hong Kong's demand for Mainland information. Not just the cultural world, Louis Cha in 1981 even met with Deng Xiaoping and discussed many political issues. Later he participated in the drafting of Hong Kong Basic Laws and was assigned to the Hong Kong Basic Law drafting council "political party" committee Hong Kong leader. In 2000, Louis Cha received the Special Administrative Region government's highest honor the Great Bauhinia badge. In 2009 he was a honorary chair of the 7th national council of the China writers association. Louis Cha recalled in his interview with Mainland host Yang Lan, "At first I created for work, I didn't have any novel writing experience. I created wuxia novel with a give it a try state of mind, fame completely was unexpected." In 2009 Louis Cha returned to visit and attend a forum at Ta Kung Pao after 52 years. "At Ta Kung Pao I contributed my youth and intelligence, looking back today I feel I have no regret in this life." 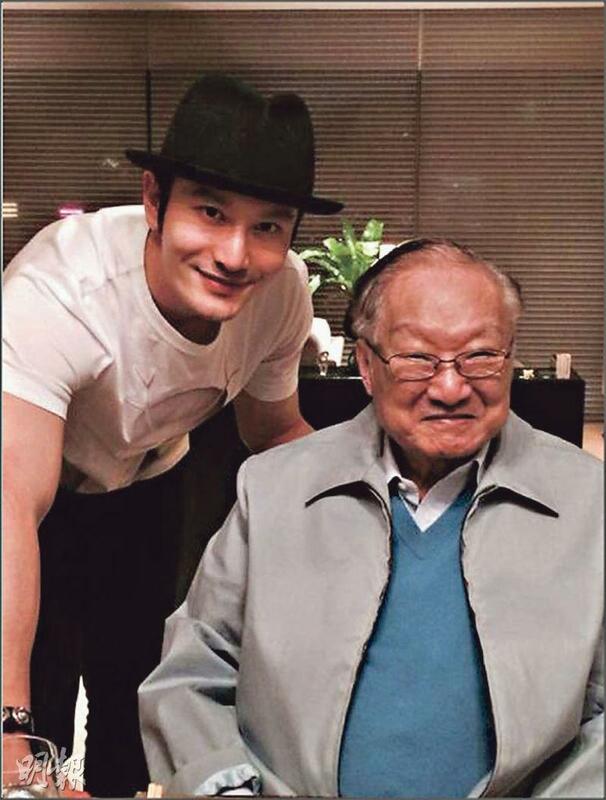 The Culturist facebook page yesterday posted around 7PM the reply from Louis Cha's son in regards to his father's death. "The news is correct, thank you." He pointed out that his father passed away peacefully. His family was by his side when he passed. Hong Kong Ming Pao site yesterday evening posted "Remembering Mr. Jing Yong", stating that the entire Ming Pao organization was deeply saddened by the passing of Ming Pao founder and famous wuxia novelist Louis Cha and sent its sincerest condolences to his family. The eulogy pointed out that Mr. Louis Cha was a good friend of Ming Pao publication group chief Tiong Hiew King, Tan Sri Datuk. "Ming Pao has been toiling in the newspaper industry for years and headed toward the top. If not for Mr. Louis Cha's hard work and tireless effort, making a name for it with his pen it would not be here today. Mr. Cha's passing to Ming Pao, to Hong Kong press industry and the Chinese literary world undoubtedly is a tremendous loss." Louis Cha's 14 books "Shooting a white deer, snow flutters around the skies; Smiling, [one] writes about the divine chivalrous one, leaning against bluish lovebirds (or lover)" remained classics, its intriguing stories told of a variety of relationships in the world. Each of his book was rich in visuals and has been adapted for film and television. Thus Louis Cha made Hong Kong wuxia series' golden age, and television series made Louis Cha a gigantic influence on the global Chinese world. Anywhere with Chinese people would know about Louis Cha. They may not have read Louis Cha's wuxia novels, but they would have watched Louis Cha wuxia novel based television series or films. Many caught up on his novels due to the television series. Each book represented an era, a classic in the hearts of Chinese people in Hong Kong and around the world. Louis Cha's connection to film and television aside from his rich visuals in his novels was also his love for writing screenplays. In 1958 Louis Cha under the pen name "Lin Huan" wrote many scripts, including NEVER LEAVE ME, THE THREE LOVES, THE FAIRY DOVE, THE NATURE OF SPRING, ONE MILLION FOR ME. Later he wrote and directed, but only co-directed two films with others. They were the 1958 THE NATURE OF SPRING with Cheng Pu-Kuo and the 1959 BRIDE HUNTER with Hu Siao-Fung. Then his work caught the eye of television stations and film companies. They created the golden age for Hong Kong television stations, influenced the Mainland television world, and versions of different eras made many artists and top stars of different eras. Among Louis Cha's 14 novels, the first to be adapted for the screen was THE LEGEND OF THE CONDOR HEROES. The one that was the most adapted was also THE LEGEND OF THE CONDOR HEROES, so far it has already been made ten times. 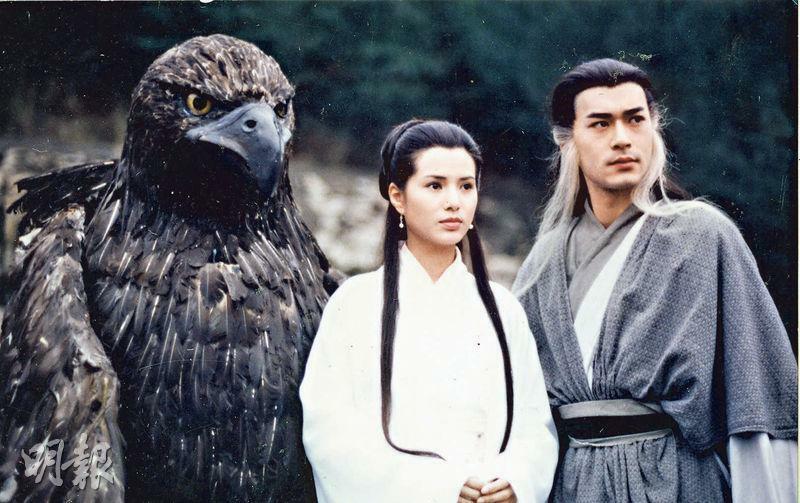 In 1976 Commercial Television adapted THE LEGEND OF THE CONDOR HEROES for the first time into a television series with Pak Piao and Michelle Yim (Mai Suet). Although CTV only lasted three years, it made five Louis Cha series: THE LEGEND OF THE CONDOR HEROES, THE RETURN OF THE CONDOR HEROES, SWORD STAINED WITH ROYAL BLOOD, FOX VOLANT OF THE SNOWY MOUNTAIN, and THE DEER AND THE CAULDRON. One after another Louis Cha series made TVB rating fall extremely. TVB also made THE LEGEND OF THE CONDOR HEROES with Felix Wong Yat Wa and Barbara Yung Mei Ling and launched the golden age of wuxia series. Whenever TVB faced any rating pressure it would adapt Louis Cha's work. THE SMILING, PROUD WANDERER, THE DEER AND THE CAULDRON, FOX VOLANT OF HE SNOW MOUNTAIN started production one after another and beat ATV. Louis Cha's work in the 80s became TVB's rating gimmick as it was often remade; its television series video tape was also sold all over the world, wherever Chinese people were Louis Cha series could be seen. 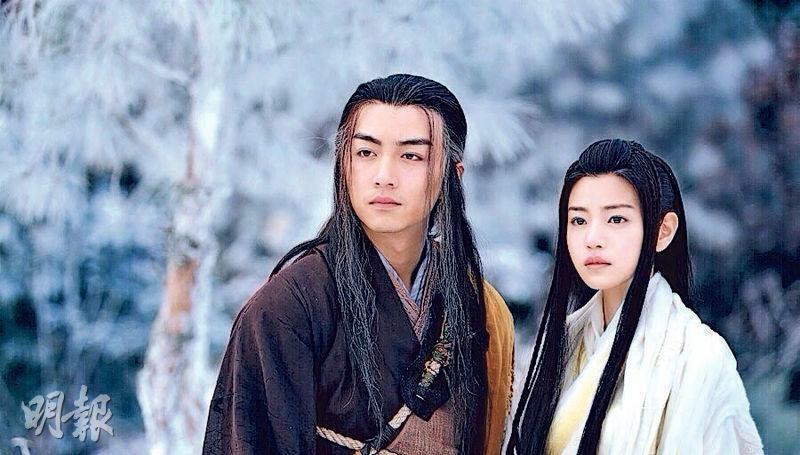 THE LEGEND OF THE CONDOR HEROES so far has already been made into ten versions. The 1983 Wong Yat Wa and Yung Mei Ling starred version once was the most viewed television series in Hong Kong history. The second most adapted was THE RETURN OF THE CONDOR HEROES with 8. 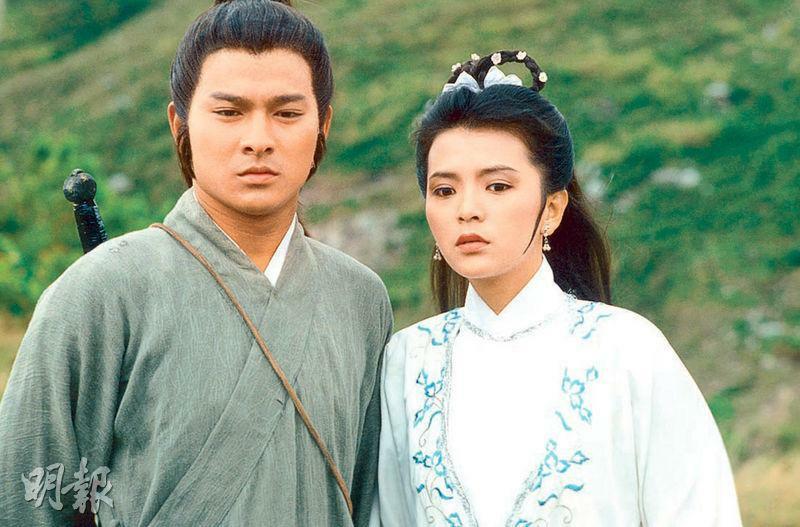 THE RETURN OF THE CONDOR HEROES was also made into a CTV series in 1976, starring Law Lok Lam and Lee Tung Ming. TVB in 83 made the Andy Lau Tak Wa and the Idy Chan Yuk Ling version. 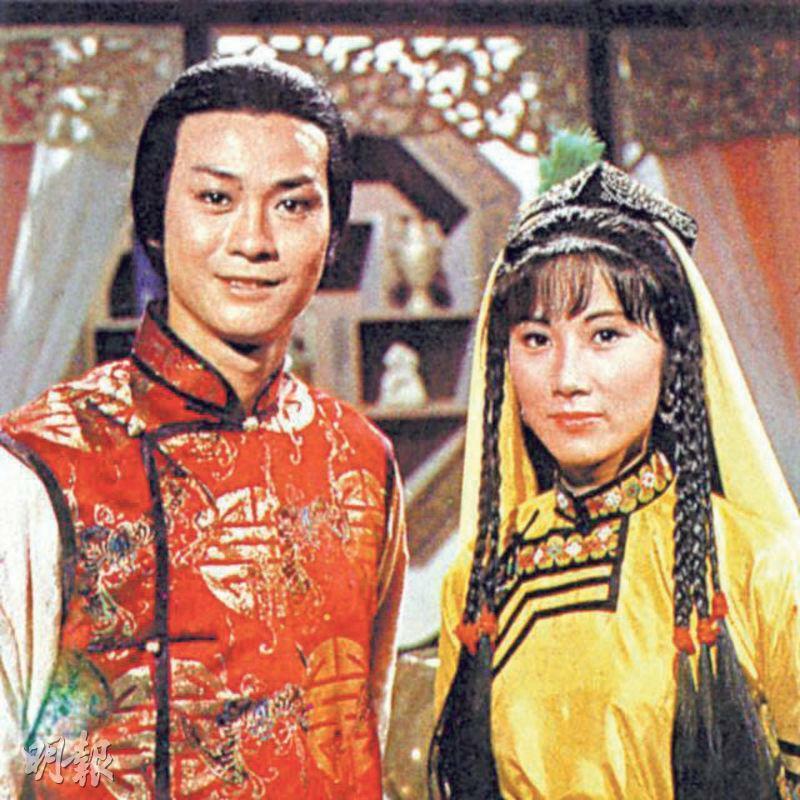 Its popularity passed the Wong Yat Wa and Yung Mei Ling starred LEGEND to become the most watched series in Hong Kong history. Chan Yuk Ling's Dragon Maiden was also the "permanent Dragon Maiden" in the hearts of Hong Kong people. Later came the Louis Koo Tin Lok and Carmen Lee Yeuk Tung version and the Mainland Crystal Liu Yifei and Huang Xiaoming versions. As for film, the first Louis Cha novel film adaptation was also THE LEGEND OF THE CONDOR HEROES. In 1958 Wu Peng directed the black and white Cantonese film. In the 60s when Liang Yusheng and Gu Long's wuxia novels were often adapted into films, they also became the foundation for Louis Cha's film adaptations. The 1960 RETURN OF THE CONDOR HEROES Cantonese film was Lee Fa directed, Patrick Tse Yin, Nam Hung and Leung So Kam starred. 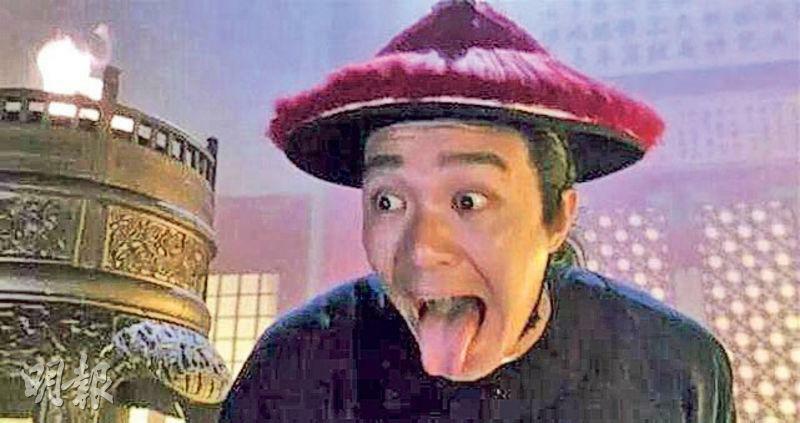 Later in 1992 THE DEER AND THE CAULDRON based ROYAL TRAMP and its sequel starred Stephen Chow Sing Chi and were very popular. Anyone who played Louis Cha's characters would become famous, as they made many young stars for TVB. Back then when Adam Cheng Siu Chau and Liza Wang Ming Chuen starred in THE BOOK AND THE SWORD his heroic image was solidified. With his television series theme song it still remains a symbolic work. Cheng Siu Chau admitted, "Since I played in THE BOOK AND THE SWORD, my hero image was solidified in the hearts of viewers. He has many ideas in his head, and used a lot of history in his writing to make you think that the characters are real. Once you open his novel you would keep reading it. I remember I too read his novels under the sheets." During the TVB Five Tigers era, Lau Tak Wa, Wong Yat Wa, Tony Leung Chiu Wai, Michael Miu Kiu Wai and Tong Chun Yip also rose with Louis Cha wuxia series. Lau Tak Wa said, "Mr. Jing Yong is a wonder in the wuxia novel world. My being able to play his character Yeung Gor was also fate. Back then when I founded TeamWork the first film SAVIOR OF THE SOUL (91 SUN DIU HUP NUI) also got its name from Mr. Jin Yong's novel. Actually all along I have been concerned with his health. When I heard the news of his passing I felt very regrettable. It absolutely was a huge loss to the wuxia world. I wish him a safe journey and my condolences to his family." Wong Yat Wa sincerely said, "Without Jin Yong here would be no Wong Yat Wa. 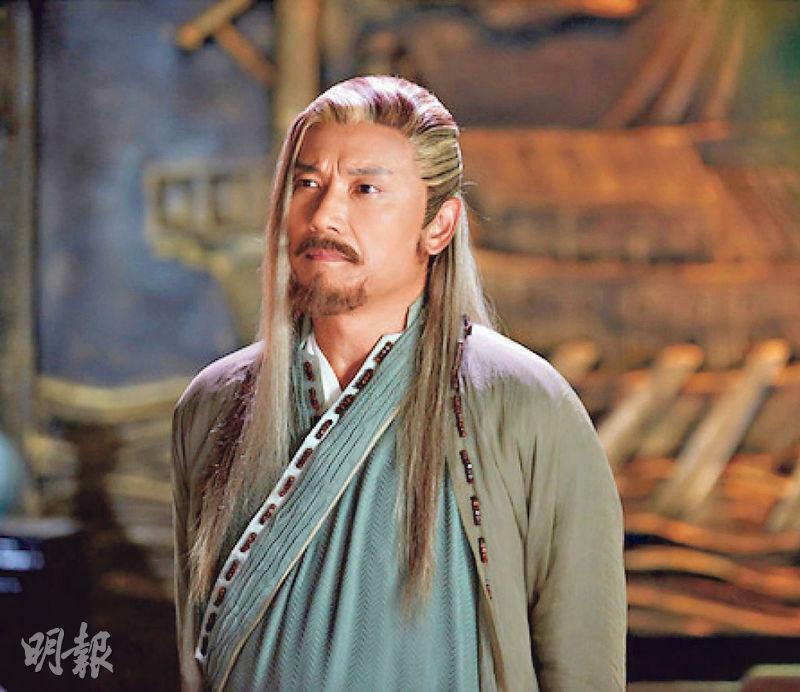 I was fortunate enough to play THE LEGEND OF THE CONDOR HEROES' Kwok Ching and DEMI-GODS and SEMI-DEVIL's Kiu Fung, which brought my career to new heights. The news of Mr. Jin Yong's passing surprised me. I am deeply saddened and wish him a safe journey. I would always remember Mr. Jin Yong." Aside from film and television series, Jin Yong's work also became a favorite of online games. Jin Yong's heroes have been designed into internet games, HEROES OF JIN YONG, as its protagonists. With its unique martial art learning system, skill and canceling system, it attracted many people who long fantasized about Louis Cha wuxia novel stories. In this game, players would be in the stories as they wandered the world with Jin Yong heroes. Since its 2001 release, the game has been rather popular in Mainland China, Taiwan, Hong Kong, Malaysia, Macau and other places. Sister Na revealed that after finishing her film promotion she would have time off. Then she could treat her foot pain and go on vacation. She said, "I welcome dates at any time, but so far I haven't run into anyone suitable. Very few people are like (Louis) Cheung Kai Chung, who can fight one against ten. At the audience appreciation event he is also the host and security, he is big and funny. (Do you like this type of men?) He's pretty good, he can chat with you and know how to cheer you up, when you are in danger he can protect you. (Kay) Tse On Kay is very lucky. I don't understand why my co-stars' other halves are all very at ease with me. I have to take a look at myself." The film PROJECT GUTENBERG made over 1.2 billon RMB in the Mainland and over HK$ 30 million in Hong Kong. Its global box office was almost HK$ 1.5 billion. Yesterday a celebration was held. 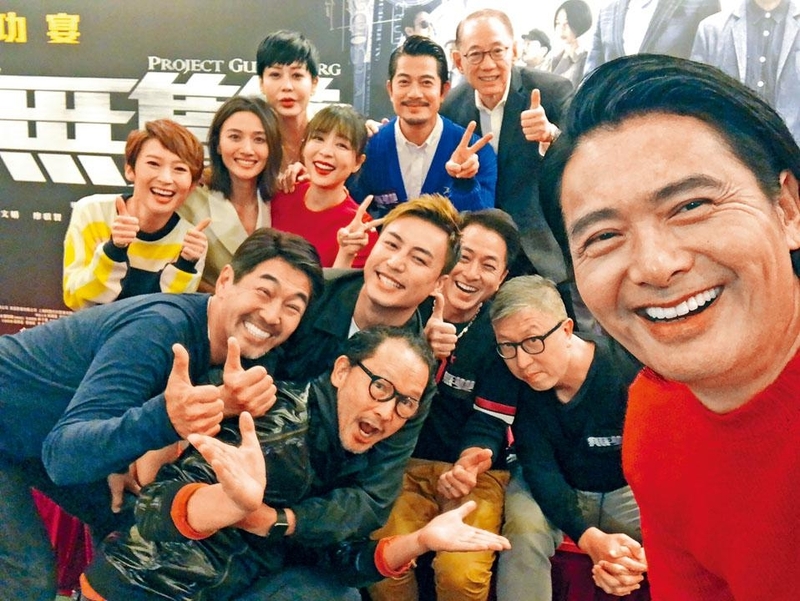 Director Felix Chong Man Keung, Chow Yun Fat and Fat Soh, Aaron Kwok Fu Sing, Zhang Jingchu, Feng Wenjuan, Liu Kai Chi and Paulyn Sun Kai Kwan celebrated. Fat Gor and Sing Sing even personally wrote blessings on the 1.5 billion "big bill". During the lucky drawing Fat Gor won HK$ 3,000, which he gave back and increased the amount to 6,000 for another drawing to share the joy with everyone. Fat Gor joked that Director Chong was quite obsessed with him. When he was little he watched A BETTER TOMORROW (YING HUNG BOON SIK) 100 times at his father's cinema, so when they worked together Fat Soh asked Director Chong not to stand so close. As long as he did not touch him he would be fine. Fat Gor also thanked Sing Sing, because of his performance he was able to have his. "I would only appear with his narration, he made me look so handsome. Actually Sing Sing is more handsome than me!" The host also praised Sing Sing's acting for elevating again. Fat Gor joked that he was a nine layer tower (basil). Sing Sing humbly said that this time he went to see the movie three times because this film was worth savoring. The director deserved all the credit for its charm, so its success was not the actors' but the director's. Zhang Jingchu also said that her role was very hard to play. Sing Sing read the script six times, and she too had to read it three times to be certain. Her character was very complicated. Speaking of PROJECT GUTENBERG's almost HK$ 1.5 billion take, Fat Gor said, "It's very exaggerated, I can't be happier. I couldn't sleep for several nights. Such a good performance is due to location and timing, and the director for bringing this script from 10 years ago back to daylight!" Chong Man Keung said that this story already had molds and was preserved tofu. He did not expect to have such a good box office performance, because when it opened in the Mainland it did not make over 1 billion in a day. However it was very steady everyday. Even with new film releases it still came in second, completely due to its endurance. Uncle Chi also happily said, "PROJECT GUTENBERG's box office go go go, the audience support made it very easy!" 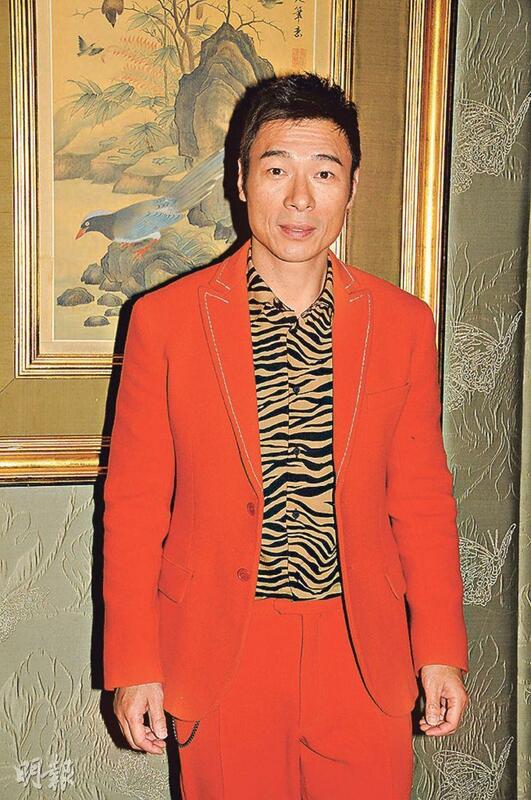 Feng Wenjuan also supported Uncle Chi's slogan and chanted box office go go go with him. Aside from a sequel or a prequel, Fat Gor said not to ask him as it would depend on the director. 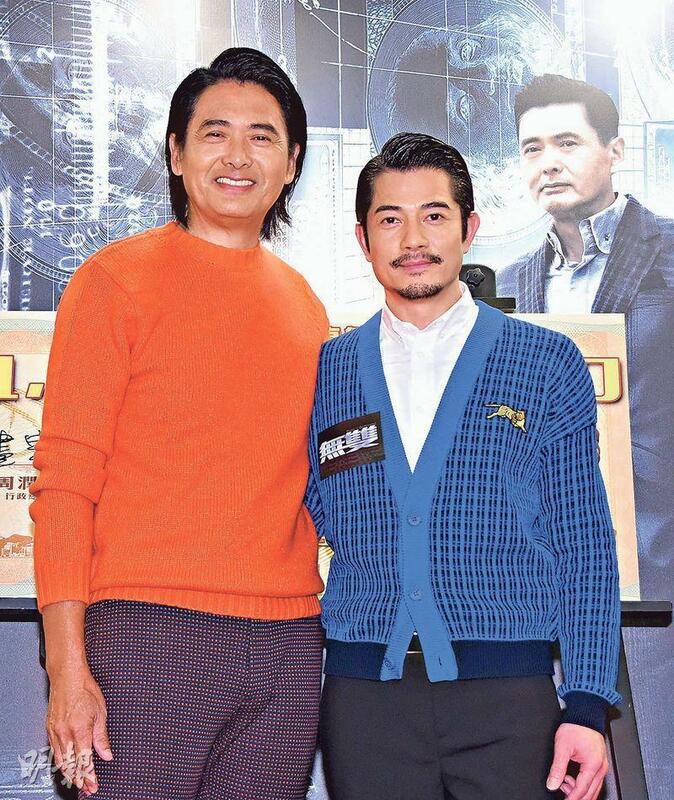 Chong Man Keung said that he was interested in working on another story with the original team. They already had chemistry like a drama troupe. Would Fat Gor be interested? He joked, "I am afraid the director won't ask me, I am scared!" Director Chong once said that Fat Gor made most of the box office. Fat Gor said, "This probably has nothing to do with my acting or fame. It all came from running. This time I ran Yangmingshan, Kowloon Peak, the Olympic Village, here and there. Even housewives ran with me. I ran into Beijing and Taiwan for over a month so I turned into the 'Hong Kong Forrest Gump, Gump Gump Gump!" Would he rest for awhile first? Fat Gor said, "No, the Mrs. is pushing me very hard. In December I will work on a Chong Man Keung written film!" Sing Sing and Zhang Jingchu were interviewed together. Zhang Jingchu at first did not expect the modern audience to be so demanding. Sing Sing also said that the audience messages praised the film for the detail oriented production that made the viewing enjoyable. 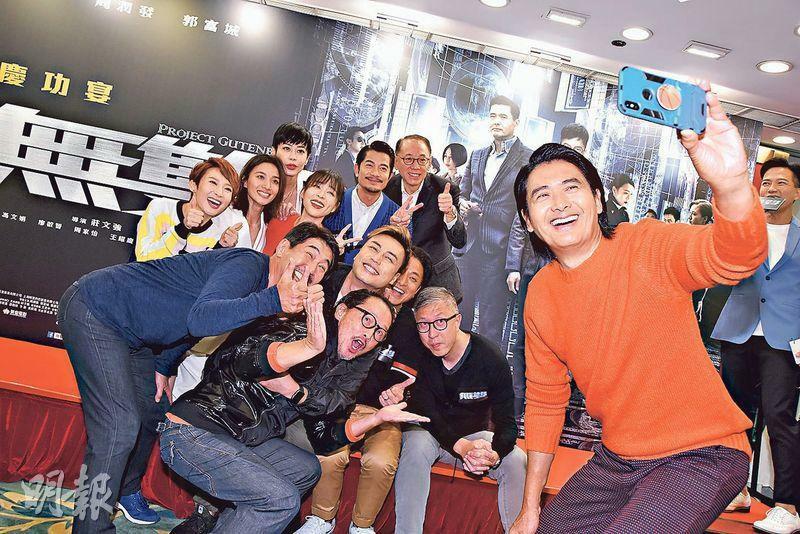 Speaking of Director Chong's interest in making another story with the original team, Sing Sing said that he was a little fan of Director Chong. The film shot two versions, and he felt that the current version would be able to leave the audience with a beautiful memory. Sing Sing just celebrated his 53rd birthday. He said that he wished for health! Because starting next month he would begin his 100 show concert tour and need a lot of energy, during the period he could not have his favorite hot pot casserole. As for his family photo at the birthday party, Sing Sing admitted that after marriage and having a child he paid more attention to family gathering. He already had fewer and fewer gathering with friends. Basically aside from work all of his time was for his family. He too really wanted to see his daughter. After starting a family he stepped into a new stage in life and had even more motivation to focus on his work. After work he wanted to go home. This was the growing process that Heaven arranged for him, it was a good thing. He even promised to shoot a family photo every year!